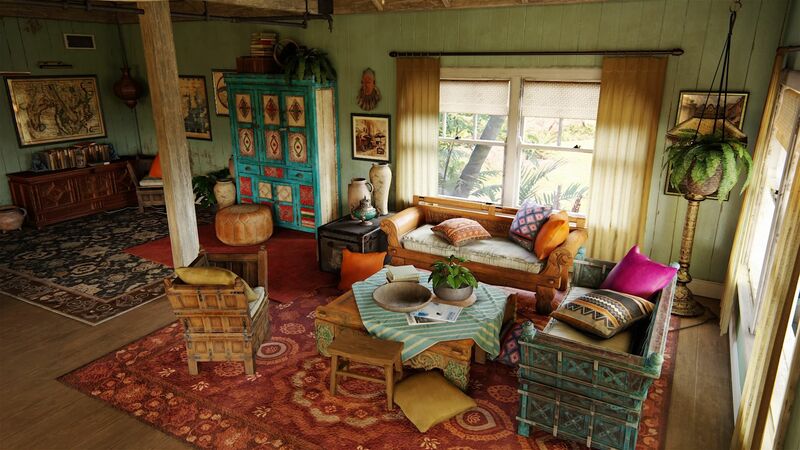 Boho or bohemian decor is for those people who want their homes to be full of culture, life and interest. This aesthetic comes with the ability to laugh in the face of modern decor sensibilities and instead embraces relaxation and the unusual. Whilst boho rooms tend to use certain similarities in the way that they share features are almost always eclectic, no two rooms are ever the same. If you are looking at implementing a style in your home which you can make your own, then the bohemian style of decor may well be for you. There are certainly no rules when it comes to boho decor, but warm, earthy colours are the most common, as are jewel and metallic tones. Think greens, deep browns and grey for the base colours and oranges, saturated purples and bright blues for accessories. The combination of colours is what makes this style truly unique. Feel free to mix textures and patterns you wouldn’t usually and don’t be afraid to use styles which wouldn’t usually go together. Very much the opposite of modern and sleek, bohemian decor tends to embrace the “more is more” approach. The key when it comes to using decorative materials in a bohemian room is to not be afraid of mixing and matching. Using natural and basic materials, such as sisal and burlap can be matched with more extravagant materials such as chenille and silk. The materials can always have a slightly worn look, but not damaged and not shiny and new. Fringe, macramé and crochet curtains, pillows and throws, when combined, make a cosy and boho-inspired space. Usually, you wouldn’t be able to find bohemian furniture in a store. Boho rooms tend to have furniture pieces in which have been collected over a period of time and don’t usually match, so vintage and second-hand pieces are the perfect fit. Each piece of furniture should have its own story, so enjoy taking time exploring local vintage and second-hand stores for your furniture pieces. Both you and your guest should be enveloped in the boho vibe, so creating a welcoming atmosphere is crucial. As a bohemian room should have a “stay awhile” feel, you should create a great seating arrangement – streamlined and straight-backed chairs don’t really fit in with this vibe. Choose comfortable and unique styles and pieces, such as butterfly chairs, wicker furniture, chaise lounges and cane chairs. Understated and ambient lighting will not only unify your bohemian room, but also complete the welcoming and calm feel you want to achieve. Rather than using overhead light fixtures, use candles, lanterns and lamps to make it more cost and welcoming. Designs today make it far easier to find a variety of styles and shapes, making it perfect for creating the mix and match look… Read More.. This Copenhagen-based brand has been making waves since its first collection was released in 2018. The 80’s-ready dresses and bold silhouettes are making this a brand to watch among the industry’s rising stars. Originally launched by Danish fashion influencers Jeanette Madsen and Thora Valdimars, the playful pieces have already taken over Instagram. This black power brand had a breakout year on the runway thanks to their dynamic and thought-provoking collection. Those lucky enough to travel to their New York Fashion Week show with travel pillow in tow after a long flight were pleasantly surprised with what was waiting for them. By merging activism with important social conversations, the brand have put their own twist on streetwear in an unapologetic way. The breathtakingly beautiful designs from this brand have captured the attention of many from across the globe. Initially based in Ukraine, Chakshyn’s pieces are a breath of fresh air for those wanting something different. 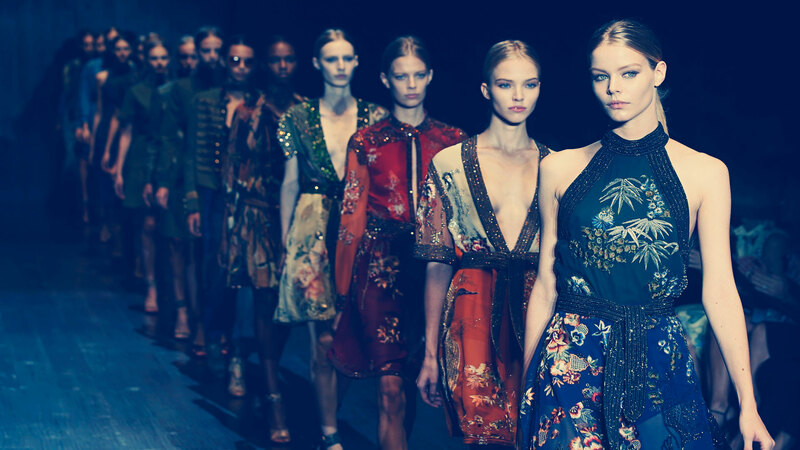 With their modern, art-inspired pieces taking on femininity and masculinity, a stunning collection has been born. This brand creates both menswear and womenswear ranges for the high-fashion world. The family brand headed by a husband and wife duo aims to launch three collections a year which are available to shop just two weeks after their debut. Something relatively unheard of in the fashion industry. With their mix of shearling coats and chunky knits, Arjé are likely to become a household essential – for those that can afford the price tag, that is. Marta Jakubowski is a Poland based fashion designer who received an MA in womenswear design in 2014 from London’s Royal College of Art. She travelled to the UK with her traveling pillow and fashion mag under arm once was chosen by the British Fashion Council to showcase her design at NewGen, a programme run by the council. Her designs are created with inspiration taken from women’s silhouettes and shapes, crafted from luxury materials like silk and organic cotton. This Parisian-based designer has achieved in just one year what most labels achieve in five. With the most delicate, Instagram worthy dresses taking centre stage, the designer’s e-shop sells out every week. With an Aurore Van Milhem piece in their closet, every woman is made to feel special whenever wear one of their designs.… Read More.. The term ‘blue collar’ found its origins in the blue shirts worn by the working class. Unlike the white classy shirts worn by ‘gentlemen’ of the era, the indigo blue shirts were designed to cover up any imperfections and stains gained throughout the working day. Nowadays, workers are able to choose the way they dress, unless they need to wear a uniform. The clothes you wear give you the opportunity to not only impress those you work with, but to let your personality shine through. If you’re struggling to know how to style yourself, though, keep reading for some easy to implement advice. Whether you are working in boiler rooms inspecting HVAC equipment like these HVAC engineers, or you spend your days performing landscaping, it’s wise to keep in mind that your clothing needs to be functional and practical for the job you are performing. If you need specific items of safety equipment, such as steel capped toes or a high visibility jacket, these are not things that you should avoid wearing in order to project a more stylish look. Now that doesn’t mean there aren’t options available to you. Boots, for example, can be found in a variety of different colors and styles, yet still provide the protection that you need. A lot of blue-collar workers didn’t consider wearing fitted clothing in the past, and this often led to them wearing shirts and pants that were far too big for them. However, even if you have to wear a uniform, finding items that fit you can do a lot for your appearance. Clothing that is comfortable but well-fitted well help to show off your physical, manly physique. It will also make it easier to move around and perform tasks. Loose, unfitted clothing is also a safety hazard and the last thing you want is for the cuffs of an oversized shirt to get caught in the machinery that you’re using. Whether it’s a pair of jeans or black pants, a polo shirt or a traditional shirt, make sure to have it properly measured and designed to your physique. As a blue-collar worker, your work clothes are going to become dirtier than most by the end of the work day. To give a good impression, it’s important to ensure you put on a new set of clean clothes at the start of every day. To minimize the amount of cleaning you have to do, it’s wise to look into protective items that you can wear over your clothes. This may mean protective overalls, or a protective apron. There’s a clear difference between a man who gets dirty during the course of his working day and a man who doesn’t take care of his appearance. You want to be the former. Blue collar jobs are much more physically demanding than white collar, but if … Read More.. The brains behind this brand are twins Dan and Dean Caten from Canada. Their collections strike a balance between tough and respecting heritage with bright and bold patterns and urban twists on formal, polished looks. Some of their most popular items include their range of diverse jeans and quality leather trainers. This Italian duo remain as one of the top fashion designers of the world offering some of the most iconic menswear collections. Their monogram brand stamp is a global mark of luxury, found on chic and sophisticated clothes and accessories. The D&G suits are cut to perfection and beautifully finished for looking great whether at work or play. Symbolising French luxury, it’s not just handbags that this fashion house is known for. The brand began life as a maker of trunks in the 1800s but now offer a vast range including posh tailoring and accessories. As the brand evolves, they are able to offer luxury trainers and streetwear for the younger generation but also elegant gents wear. For more than a century, Prada has been dressing Italian royalty and some of the most iconic celebrities on red carpets. As well as stunning suiting, Prada offers a luxury athleisure range, combining casual with effortless elegance. One of the most respected Italian designers of all time, Armani became famous for his impeccable tailoring. Combining a happy marriage of skilled craftsmanship and the very best materials, his legacy is one of high class and sophistication. A top British brand that claims to have invented the trench coat, they are also one of Britain’s biggest fashion exports. 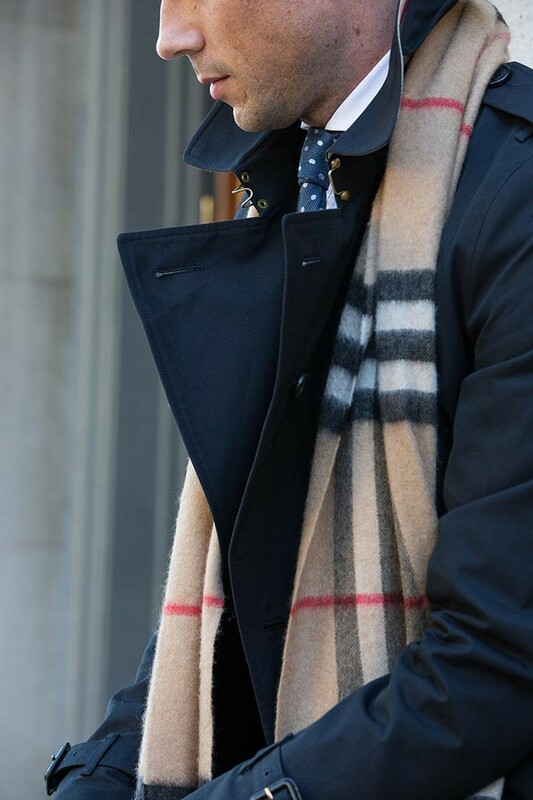 The Burberry plaid is instantly recognisable, combining traditional British gent style with modern mixes of graphic prints, tech-wools, and even lace! Another all-American outfit who gave the world the polo shirt. The global appeal of this brand began in the 1960s and ever since they have offered smart casual wardrobe essentials with great neutral tones and timelessly classic fitting. Whether you need chinos, polo shirts, … Read More..
How can you wear your engagement ring with gloves? Congratulations, you’re engaged! You want to keep your ring on constantly. But now winter’s here, it’s likely that you’re pondering how it’s possible to wear gloves with your ring. Warming your fingers should be the most important aim, but you can keep your lovely ring on too. A chilly climate impacts your fingers – they contract in cold weather, and when they are smaller your ring will become looser. You’ll have to pay attention when removing your gloves not to lose the ring. To control this, you can use cushion solution, which reduces the size of your ring temporarily without having to alter the band. Wool gloves, tightly fitted gloves and cashmere-lined gloves aren’t so good at maintaining the life of your engagement ring. Gloves can be harmful, from snagging your ring to allowing it to slip off – here are things to watch out for when wearing gloves this winter. Many Diamond Engagement Rings need maintenance: there are some tips for the care of diamond engagement rings here: https://www.vogue.com/article/engagement-ring-rules-care-how-to. When your ring snags on gloves, this can cause the prongs to loosen. When this happens, the stones can be undermined. 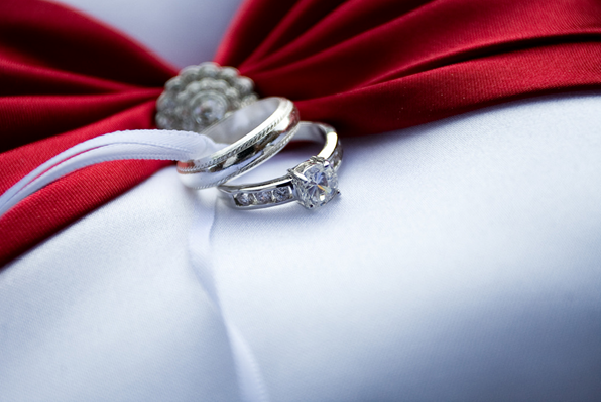 If your ring has prominent prongs that could easily snag, avoid gloves that are close fitting. Consider removing your engagement ring if you wear tight gloves, or choose a pair with more room. 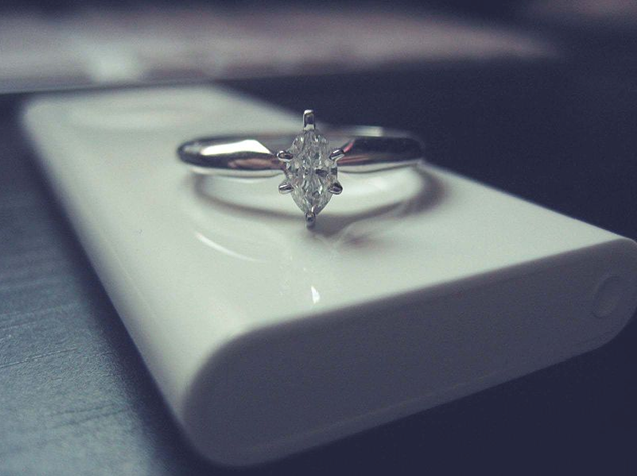 A jeweller can remove a small amount of lint from your ring, but a big build-up is something to be wary of. If pieces of your gloves get stuck on your ring, swap them or remove your ring before putting them on. Free and easy to do, turning your ring facing gem-side down on to the palm of your hand generally works, so you can pull any size of glove on top. This will ensure that the ring does not slip off when you remove the glove. Mittens typically have much more room on the interior, so your ring ought to fit with no problems. Rather obvious, but a pair of stretch gloves with a lot of room is another straightforward way to ensure that your ring will hold on tight to your finger.